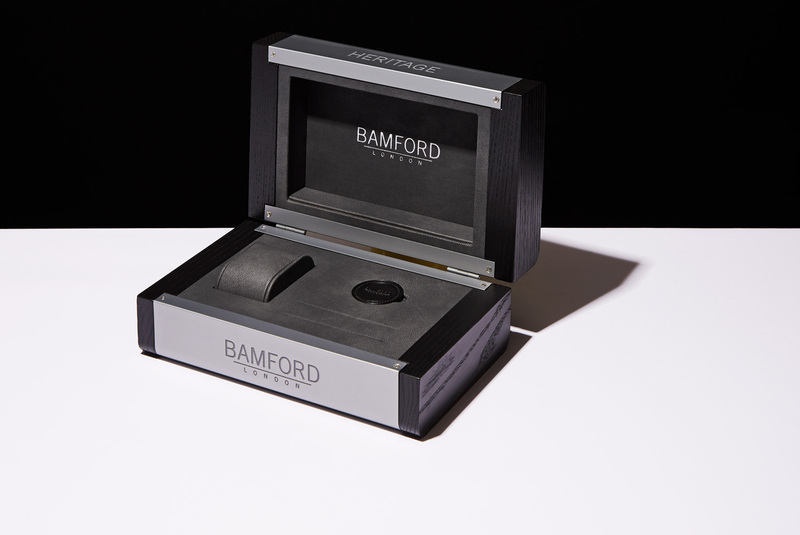 George Bamford, a man inspired by his lifelong love and collection of vintage watches, created the Bamford Watch Department to pay homage to the classic designs of the past. Each piece is created with ‘immaculate attention to detail, making certain that not even the smallest component is overlooked’. Driven by individuality and bespoke customisation, BWD is paving the way for expression through accessories, ensuring every single detail in the products they put out are unique and of the highest quality. Including their packaging. After an initial meeting with their in-house creative, we helped to create packaging for their Heritage range of watches. The packaging had to echo the classic aesthetic of the pieces, whilst also referencing their custom made approach. 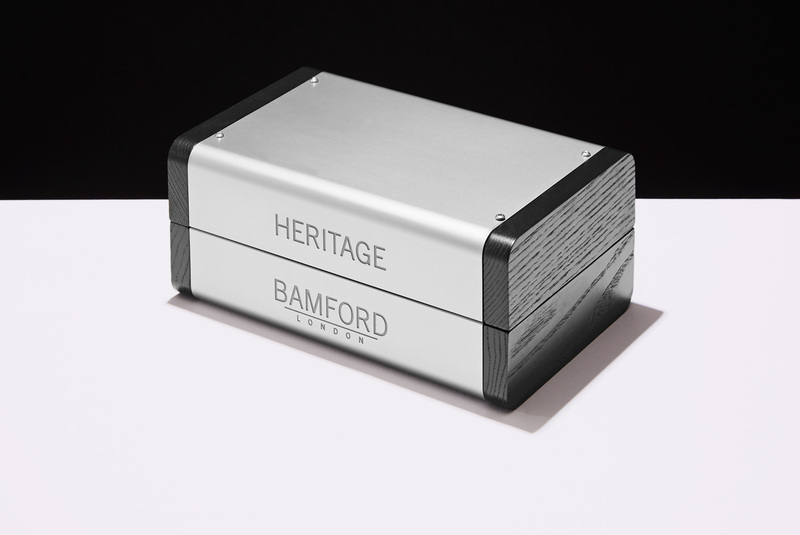 The boxes were crafted from bespoke anodised aluminium which was machine bent in two halves and then connected together using matching hinges. End caps were made of contrasting gloss varnished beech and then riveted in place. 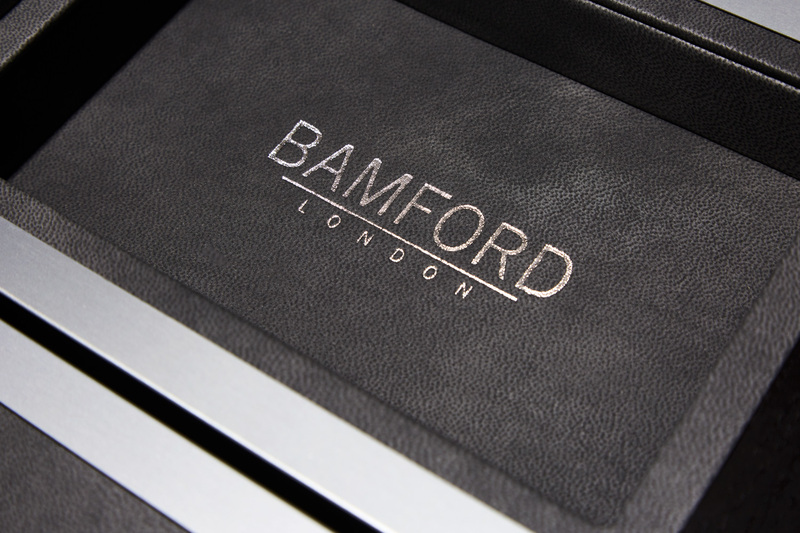 The inserts were produced from routed MDF board and covered in textured PU coated papers. 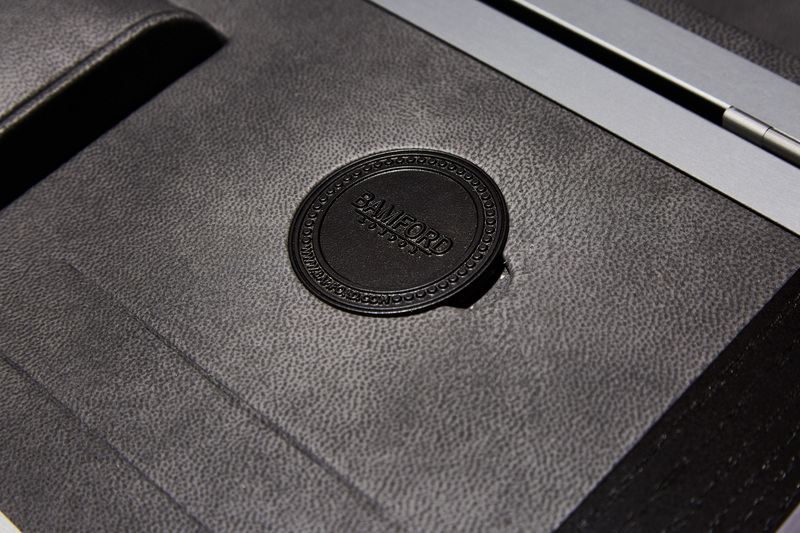 We finished these beautiful pieces off by branding them with a laser-etched logo on the outer, foil blocking on the inside, with a final flourish added in the form of die cast, powder coated medals which were fitted into a custom recess.